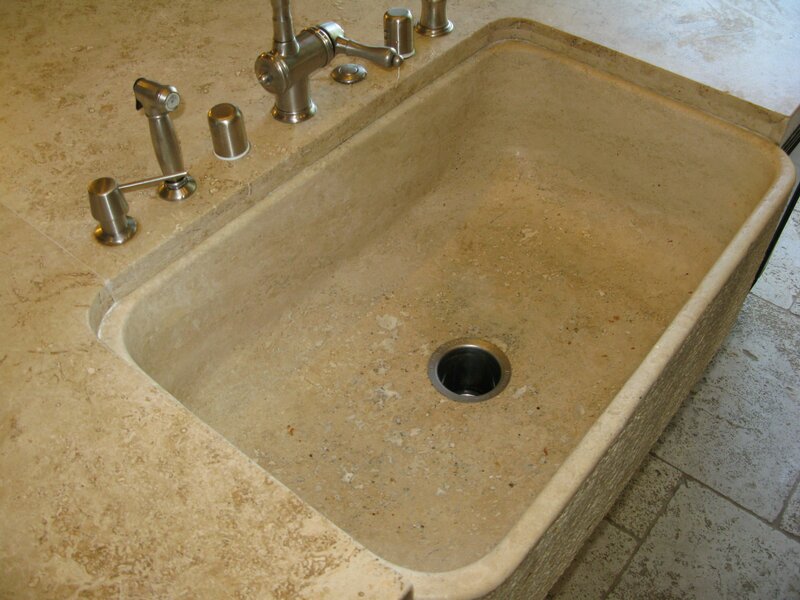 Here we have a carved travertine stone sink. After years of cooking in the kitchen you can see all of the dirt and grime that has contributed to developing holes like the ones in this travertine. Stone Restoration is the best way to bring travertine back through proper and careful stone restoration techniques. 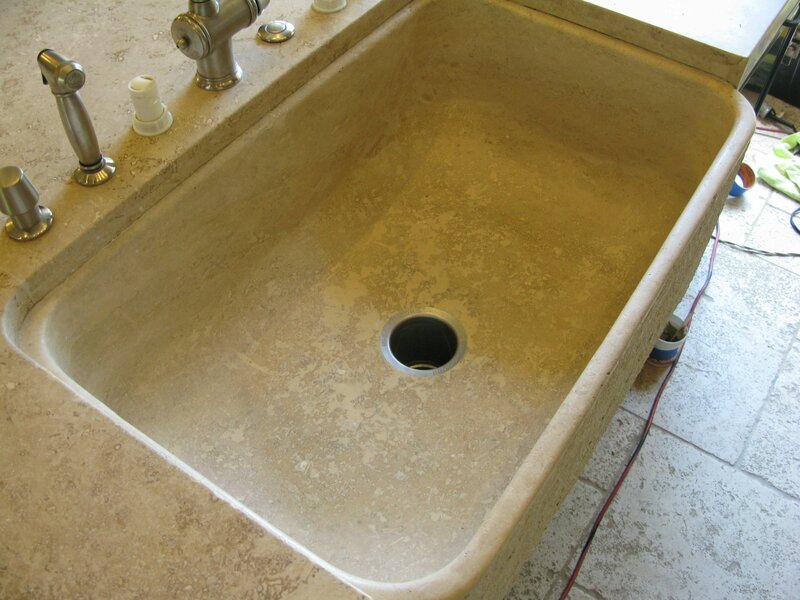 After our team cleaned, honed, and filled the holes of this travertine stone sink it is ready to be used like new once again!